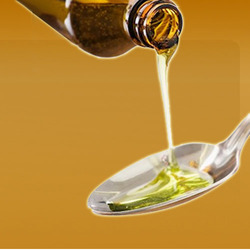 We are Manufacturers and exporters of high quality Invert Sugar Syrup from India. Our Invert Sugar Syrup is widely used in various Industries including Hotels, restaurants and Coffee shops. Our Invert Sugar Syrup is widely used in bakery, soft drinks, ice creams , herbal cosmetics and squashes etc. We are exporting Invert Sugar Syrup to various countries like Middle East, Dubai, Poland, UAE, GCC, Jordan, Israel , whole Europe,(Germany, Polland), UK, Indonesia, South Korea, Africa (Especially South Africa). We are also engaged in the offering a wide range of Liquid Invert Sugar Syrup for Food Industry to our esteemed clients. The products we offer in the industry are very much recommended by the customers. Our products can be obtained from the market at affordable price. 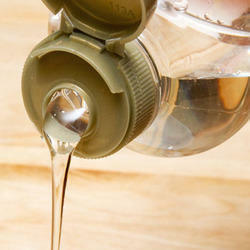 We are the manufacturer , exporter, and supplier of Sugar syrup. 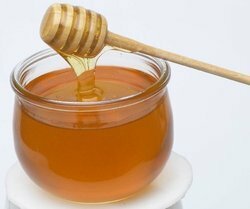 We offer a large range of Invert Sugar Syrup which is widely apprehended by our esteemed clients. Our exclusive gamut of nutritious invert sugar syrup is the best alternative for infant’s food. Our invert sugar syrup can be digested easily and are made up of natural ingredients. The invert sugar syrup manufactured by us is widely used in various applications like bread, cakes, lemonades, cold drinks, herbal cosmetics squashes, juices etc. Our invert sugar syrup is nontoxic and unadulterated. We are widely well reckoned as the distinguished inverted sugar syrup manufacturer in India. Enriched with a vast industry experience we are capable of manufacturing supreme quality Pure Invert Sugar Syrup that is manufactured under controlled hygienic environment. Known for improving the shelf life the products it is used in, this offered invert sugar for the cold drink is highly acclaimed among the client-base we have accomplished to gain. Furthermore, it is free from the harmful effects of carbon, which sugar has. We offer a large range of Liquid Invert Sugar Syrup which is widely apprehended by our esteemed clients. Our exclusive gamut of nutritious liquid sugar syrup is the best alternative for infant’s food. Our liquid sugar syrup can be digested easily and are made up of natural ingredients. The Liquid sugar syrup manufactured by us is widely used in various applications like bread, cakes, lemonades, cold drinks, herbal cosmetics squashes, juices etc. Our invert sugar syrup is nontoxic and unadulterated. squashes , lemonades, instant energy drinks, juices, cold drinks etc. Invert Sugar Syrup Herbal which is widely apprehended by our esteemed clients. Our exclusive gamut of nutritious invert sugar syrup is the best alternative for infant’s food. Our invert sugar syrup can be digested easily and are made up of natural ingredients. The invert sugar syrup manufactured by us is widely used in various applications like bread, cakes, lemonades, cold drinks, herbal cosmetics squashes, juices etc. Our invert sugar syrup is nontoxic and unadulterated. We are widely well reckoned as the distinguished inverted sugar syrup manufacturer in India. Enriched with a vast industry experience we are capable of manufacturing supreme quality Invert Sugar Syrup that is manufactured under controlled hygienic environment. Known for improving the shelf life the products it is used in, this offered invert sugar for the cold drink is highly acclaimed among the client-base we have accomplished to gain. Furthermore, it is free from the harmful effects of carbon, which sugar has. We are the manufacturer, exporter, and supplier of Sugar syrup. 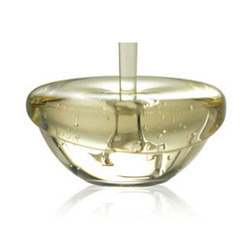 We offer a large range of Invert Sugar Syrup Transparent which is widely apprehended by our esteemed clients. Our exclusive gamut of nutritious invert sugar syrup is the best alternative for infant’s food. Our invert sugar syrup can be digested easily and are made up of natural ingredients. The invert sugar syrup manufactured by us is widely used in various applications like bread, cakes, lemonades, cold drinks, herbal cosmetics squashes, juices etc. Our invert sugar syrup is nontoxic and unadulterated. 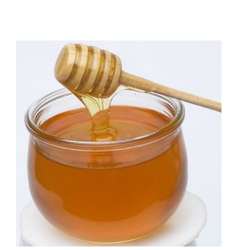 We are widely well reckoned as the distinguished inverted sugar syrup manufacturer in India. We are the pioneer manufacturer of Invert Sugar for Icecreams. By including invert sugar, products are eaten straight from the freezer such as ice cream and sorbets can be made be softer, and easier to scoop. 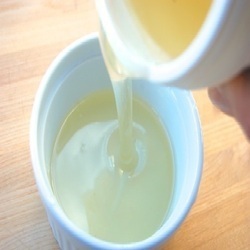 Many of our clients have already found the advantage of using invert sugar syrup in ice cream. The shelf life of ice cream increases.